Monster Corn Maze is open every Friday & Saturday, from September 21 - October 27, 2018. 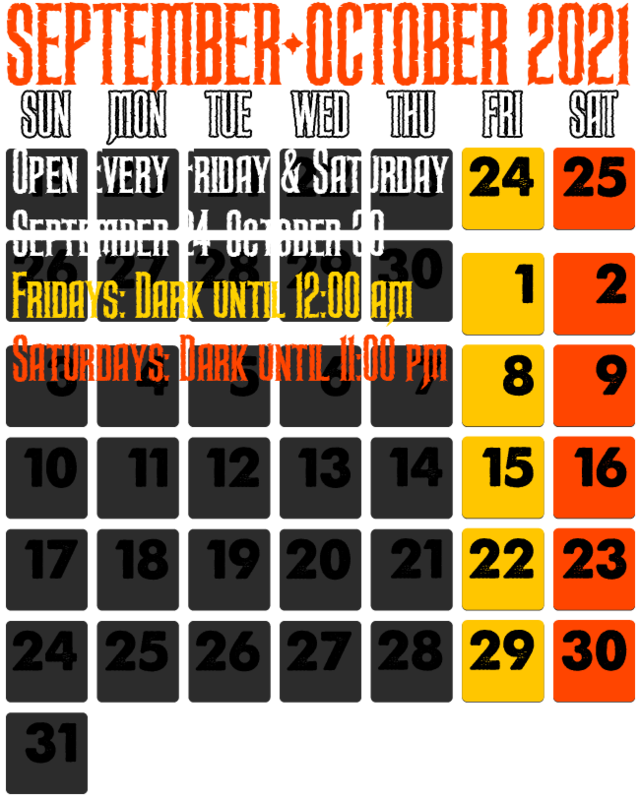 Open Dark to 11:00 pm; anyone holding a paid ticket by 11:00 will be provided admission into the maze. Please visit our Facebook Fan Page for dates of special events scheduled throughout the season!